The Bedřich Smetana Memorial is housed in the age-old gamekeeper’s lodge in the village of Jabkenice not far from Mladá Boleslav, close to a large fenced game range surviving to this day with beautiful natural scenery. 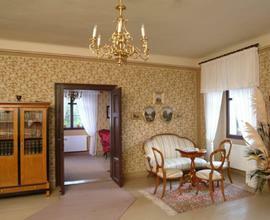 The lodge served as headquarters for the forestry office of the Thurn-Taxis princes who owned the dominion. 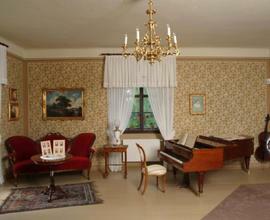 Starting in 1875 the forester here was Josef Schwarz, the husband of Smetana’s oldest daughter Žofie. 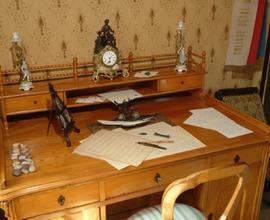 After losing his hearing, the composer moved here in 1876 and spent the final years of his life in this environment. 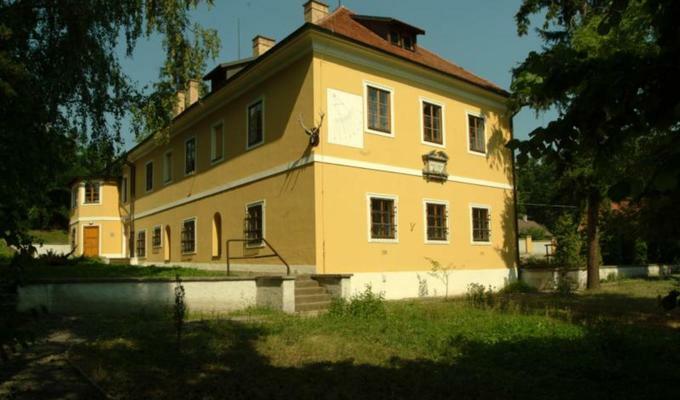 In the gamekeeper’s lodge in Jabkenice he composed many of his most important works: the operas The Kiss (Hubička), The Secret (Tajemství), and The Devil’s Wall (Čertova stěna), both of his string quartets, the piano cycles Dreams (Rêves) and Czech Dances (České tance), and some choral works. He also completed here the cycle of symphonic poems titled My Country (Má vlast). 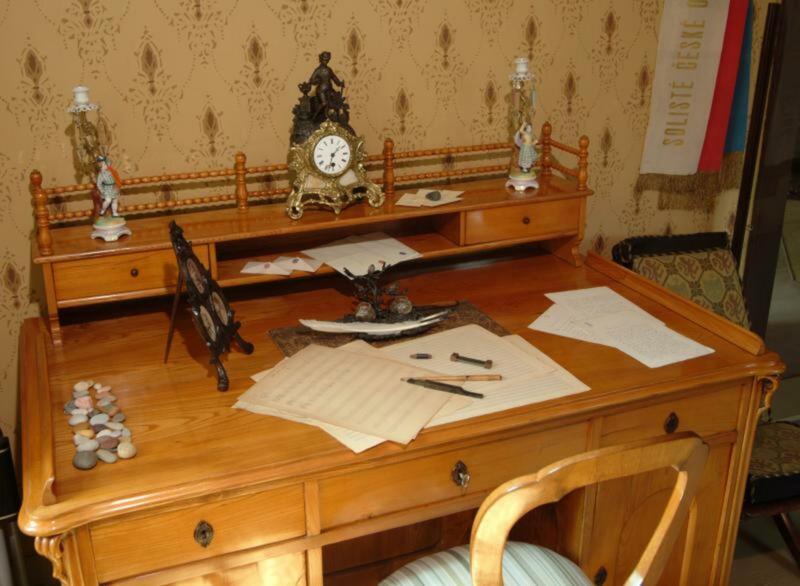 The present exposition (the fourth in this location), devoted to the life of Smetana and his family in Jabkenice and his works from this period, opened in 2003. Its first part documents Smetana’s contacts with the area of Mladá Boleslav before his permanent residence in Jabkenice, and the life of his family and the family of Žofie and Josef Schwarz in the village. The second part is devoted to Smetana’s works composed during his Jabkenice period–their performance and dissemination via concerts and operatic productions and through publication both in Bohemia and abroad–and also commemorates some of his friends and collaborators who helped promote his works. 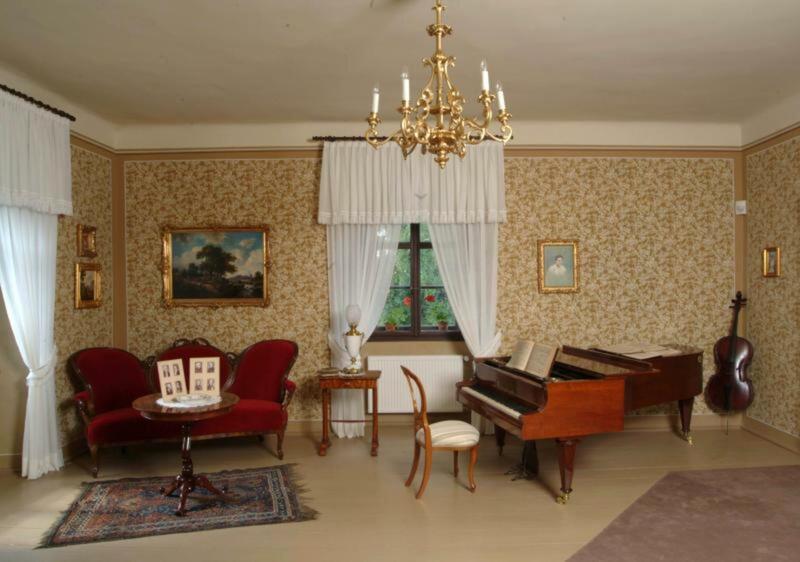 The core of the exposition consists of interiors of Smetana’s study and family salon, reconstructed according to descriptions from the period and including some pieces of furniture from Smetana’s family as well as other authentic memorabilia. Displayed on the memorial’s ground floor is a set of sculptural depictions of Smetana by leading Czech artists. 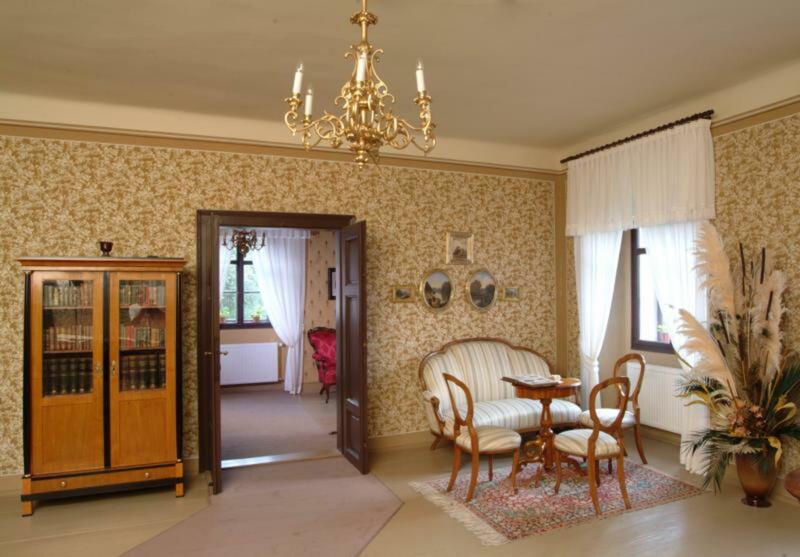 In one room we find a small gallery of artworks by the composer’s grandson Zdeněk Schwarz depicting Jabkenice and the surrounding area, as well as the restored stage curtain of the Jabkenice amateur players, painted in 1877 by Smetana’s wife Betty (also called ‘Bettina’). Here one can listen undisturbed to works of Smetana according to one’s own selection. You can buy your ticket only at the ticket office.